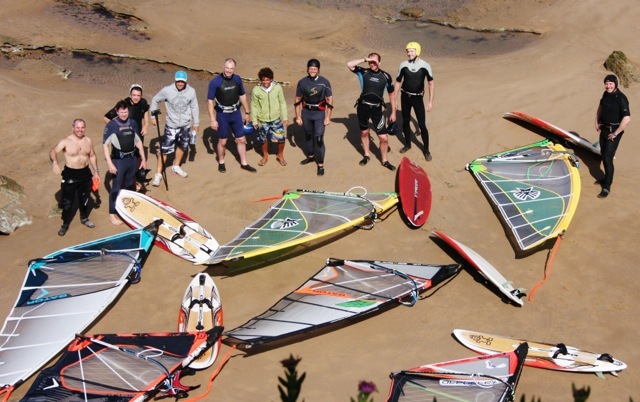 The last 2 weeks I have been in amazing Moulay for our annual Wave Camp. Once again the place didn't disappoint, with only 2 days of no wind in 14. In fact it was too much wind for most people, myself included! I was solo this year, but thanks to Tatsy and all the guys at the Bouj centre it went very smoothly and I think everyone should have gone home happy. Thanks to everyone involved for making it such good fun. After so much sailing all I really wanted was a bit of a rest, or maybe a relaxing sail, but instead I got home to GC and its blowing 50kts! I had a sail this morning for about 30 minutes with a 3.4, but it wasn't quite the relaxing sail I needed! More of the same for the next days too!